Technology in the automotive industry has taken off as of late with autonomous cars, HUDs and Google’s Android Auto and Apple’s CarPlay. These advances make it easier for drivers to have a seamless and enjoyable driving experience as well as contribute to the connectivity of the Internet of Things. A recent article in Government Technology talked about the importance of protecting drivers’ personal information. Phones and homes aren’t the only “smart” things that communicate. With the recent data breaches that have occurred, consumers want to know their information is protected. The Alliance of Automobile Manufacturers and the Association of Global Automakers have teamed up to set privacy regulations for the automotive industry. They have come up with 7 rules that will help consumers understand how automakers will use the collected information and will keep automakers accountable to their consumers. This partnership looks to create transparency between drivers, the automotive industry as well as insurance providers and law enforcement. However, protecting personal information isn’t the only concern drivers should have. With the automotive industry continuing its recovery and growth this year, consumers are borrowing more to afford the rising vehicle prices and for longer in order to make the monthly payments more manageable. Swapalease.com offers an alternative to purchasing a vehicle. Swapalease.com is the largest online lease transfer marketplace helping drivers exit their lease early. Most dealerships will charge a fee for terminating a lease early but Swapalease.com allows someone else to take over your existing lease freeing you up of that contract. You’ve wasted enough time and money in your current car, why not get into a car you’ll enjoy driving? Swapalease.com is the largest online lease transfer marketplace. The online marketplace has vehicles and customers in every state in the continental United States and Canada. For more information on finding the best car lease deals or to learn how you can have a successful car lease trade, visit Swapalease.com or contact them at 866-SWAPNOW. Are Autonomous Cars the end of Cruise Control? As auto manufacturers continue to develop technology that helps drivers, such as cruise control, we can expect more advances to be made in the next couple of years. We have already heard about Google’s driverless cars that are being tested in California. Audi has also been developing technology that will take over a car’s steering under certain conditions. A recent article in Forbes described how GM is also developing and testing the technology that will aid drivers, however it is not calling it autonomous driving. By 2017, GM’s luxury line of vehicles will be equipped with ‘Super Cruise’ technology, which can take control of the vehicle for a prolonged period of time. GM’s super cruise technology is similar to Audi’s cruise automation and won’t completely take over steering, accelerating and braking of the vehicle. However, under certain circumstances, such as driving on the freeway, the driver is able to turn it on like cruise control, sit back and enjoy the ride. With all of these advances being made in the automotive world, vehicles are now seen as disposable as cell phones. If we are able to upgrade our phones every year, why not be able to upgrade our vehicles as well? Swapalease.com makes that option viable. 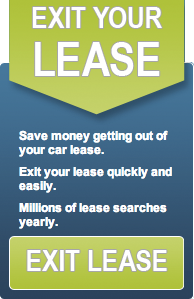 As the largest online lease marketplace, Swapalease.com makes it easy for you to get into a new vehicle more often. By matching individuals looking to get out of their lease early with someone interested in taking over the remainder of that lease, Swapalease.com acts as a sort of matchmaker for car leases. What are you waiting for? Your perfect match is waiting to be found.